Analyzes and re-wraps your text. Removes all quote marks (">") from the beginnings of lines. Works curiously well on text copied and from Web sites and PDFs! Removes unwanted line breaks from within paragraphs. 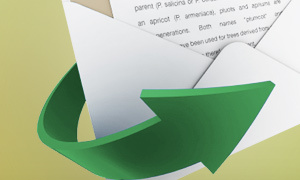 Allows you to paste text from e-mails perfectly into your word processor! SmartWrap™ numbered and lettered lists. And most importantly, Save You Time! Hold down the Shift-Key to maintain quote level and hard wrap text to 72 columns! Works in Eudora and Eudora Light!! Works on In-Coming AND Out-Going e-mails! Add it to your Eudora™ Toolbar! SmartWrap™ with one click! SmartWrap™ any text you can copy to the clipboard, and then paste it anywhere you want! Maintain multiple SmartWraps just by creating new windows.